At Authentise, we are advocates of the idea that data is the new driving force of every industry. Through it, we are finding new ways to address our current limitations and replacing the physical with the digital. Flexibility is the keyword here. 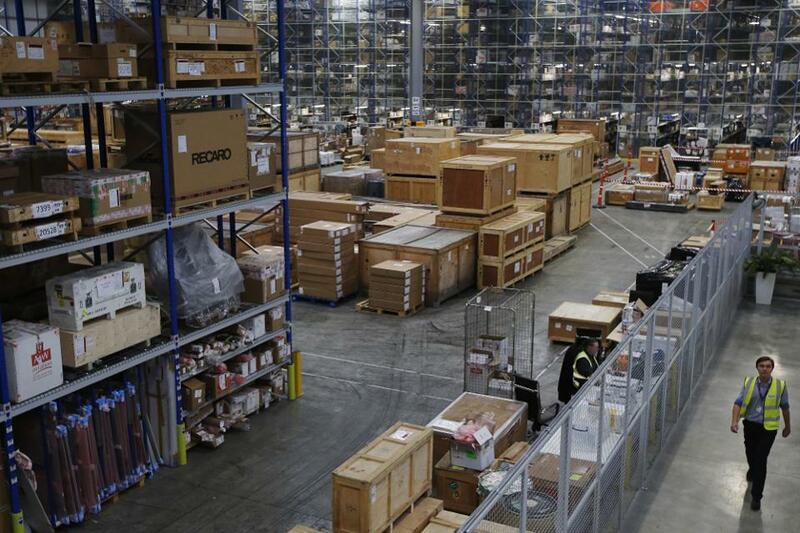 Technologies like AM enable us to do away with traditional warehouses and produce spare parts on-demand. This enables companies to save a great deal on maintenance costs, inventory upkeep, and material/production waste. CAD data can be stored throughout the product’s history and replacement parts can be printed even after the product has run its course. Digitizing the pipeline offers the chance to reinvent parts’ designs based on new generative optimizations. These are in turn based off of FEM analysis, which can improve the part’s performance while reducing its weight greatly. A few concerns are still being thought through: IP protection, part qualification and more, but its promise is already being realized. “Digital inventory” is a concept increasingly bandied about in supply chain management. More than a buzzword, the underlying principle is that rather than stock a physical warehouse with mass quantities of spare parts that may or may not be in demand at any given time, including parts for now-obsolete original products, design files for components can be stored digitally and made on demand. FIT AG has presented its ‘Spare Parts on Demand’ (SPOD) solution at Formnext which employs additive manufacturing to produce industrial replacement components. It has come about as companies continue to work towards implementing digital inventories which lean on additive manufacturing rather than storing parts is warehouses that have been produced by conventional means. The reason being to save on cost and time. The use of massive computing power to conjure radical new designs automatically – a process known as generative design – is revolutionising the way human designers work, letting us build things we previously couldn’t have imagined. Instead of waiting for inspiration to hit, computers go looking. Handed a set of design constraints – such as making it lightweight, strong and low-cost – generative design software identifies and assesses hundreds or thousands of candidates that all fit the bill, before selecting the pick of the crop. The Authentise team has been exhibiting at Formnext in Frankfurt this past week. We had a blast exchanging views on the AM world and better understanding the industry as a whole. In the times between meetings and booth chats, we had the chance to roam the halls and take a peek at what’s on the horizon. What’s been consistently shown is a maturity and wide-ranging offering of products and services. The AM industry is cementing its stance, partly thanks to proven applications and no lack of R&D investment. As we saw it, Formnext was a chance for progress, not groundbreaking. This is not to say that there wasn’t innovation to be found within its halls, on the contrary. But the players are now pushing for market permeation more than ever. Leading 3D printer manufacturer and service provider EOS, is to debut a new polymer 3D printing technology at Formnext 2018 in Frankfurt next week. This technology, which is reportedly capable of replacing “injection molding in many contexts,” will be presented alongside a demo of Richard Browning’s 3D printed jetpack, and the company’s new quad laser EOS M 300-4 metal system as a production cell. 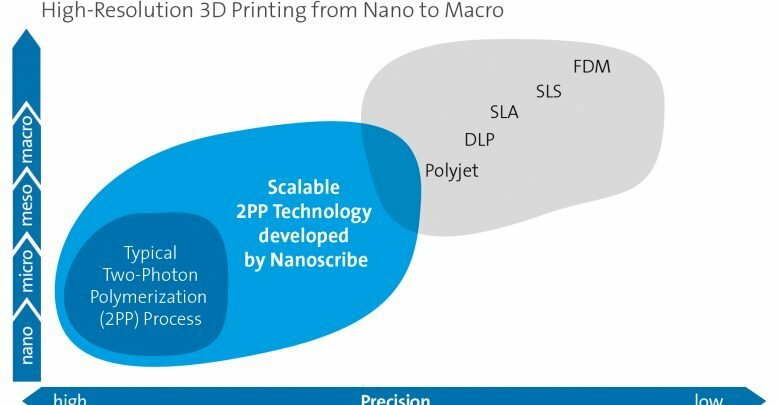 The new developments from the company are made to increase 3D printer outputs to an industrially-competitive scale, a key theme throughout the industry as we saw at last year’s Formnext, and a chief preoccupation for EOS and its partners. FIT AG has presented its ‘Spare Parts on Demand’ (SPOD) solution at Formnext which employs additive manufacturing to produce industrial replacement components. As most parts that need replacing have been made with traditional methods, they have often passed through an approval process, meaning it isn’t possible to create a 3D printed copy. Deutsche Bahn, a German railway company, encountered this problem when attempting to replace the left sandbox housing in a brake system. The component had been manufactured in cast grey iron, and so the part had to be redesigned and then printed in titanium using EBM. The printed part has so far passed on all tests performed. At Formnext, FIT AG has showcased SPOD as a way for this success to be achieved with more regularity. 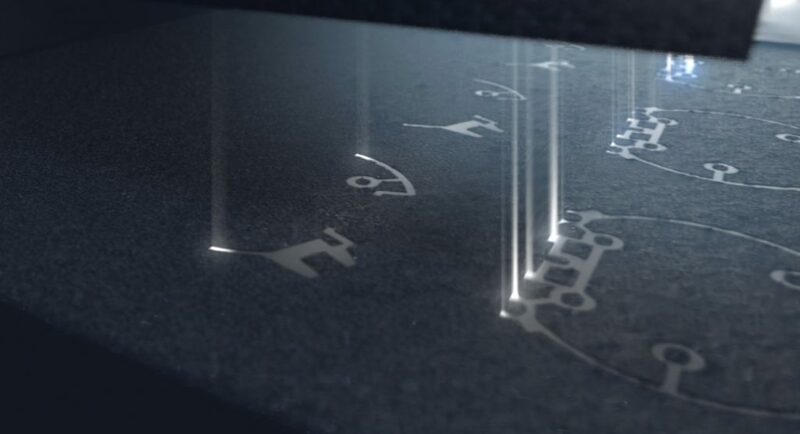 Nanoscribe, a specialist in microscale additive manufacturing, was recently selected as the first place winner of the Baden-Württemberg State Prize for Young Companies. The award, worth €40,000, is bestowed upon companies that demonstrate economic success and make a sustainable contribution to society in some way. This week, Nanoscribe has been showcasing its technology at Formnext in Frankfurt. There, the company is exhibiting the fabrication of structures with micrometer precision in millimeter dimensions for the first time.